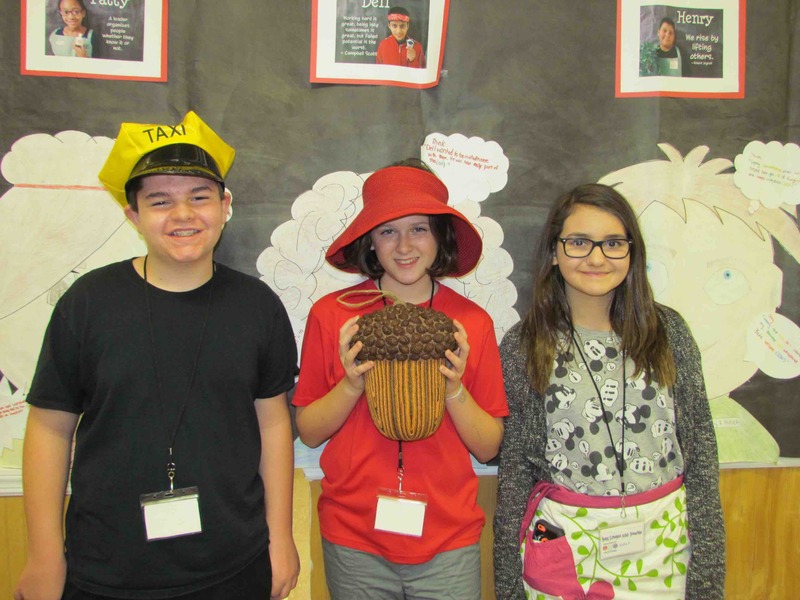 From left, Wisdom Lane sixth-grade students Vinny Moran, Miriam Stasinski, and Sofia Ferreiro dressed as characters in the book, “Counting by 7s,” during the READ Showcase. 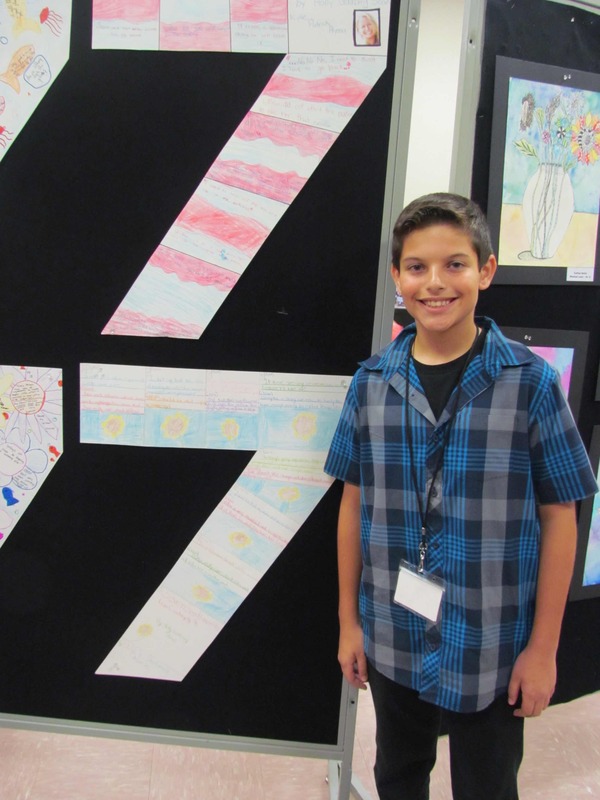 A community of middle school readers from Salk and Wisdom Lane middle schools gathered at Levittown Memorial Education Center to peruse the multitude of school projects created in relation to this year’s required reading selection of “Counting by 7s” by Holly Goldberg Sloan. The goal of the READ Showcase was to highlight the various projects completed during this fall’s classroom book discussion events. 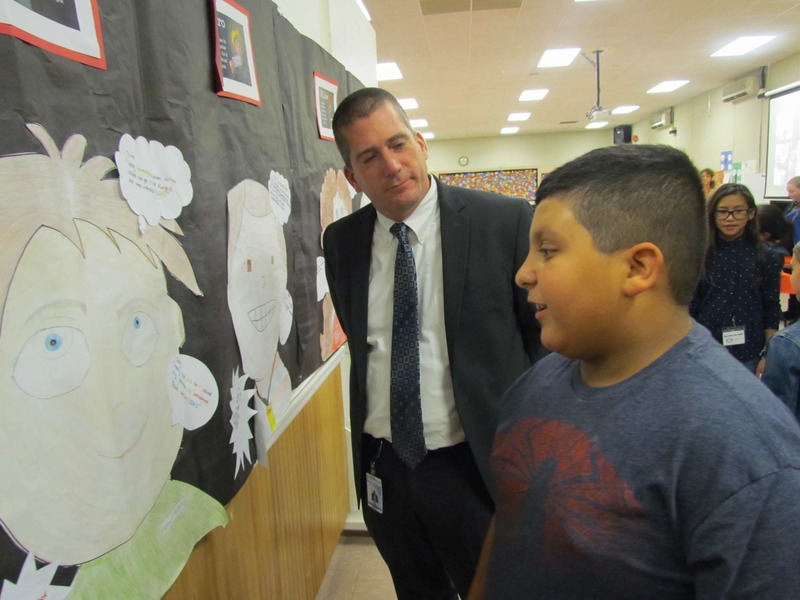 Wisdom Lane sixth-grader Anthony Barrara and Levittown Assistant Superintendent for Instruction Todd Winch discussed one of the characters in “Counting by 7s” during the district’s READ Showcase. During the event, students and their families read essays and class reports, made observations about art projects, and tried their hands at games created by the use of technology. In addition, the district held a Makerspace room activity in which students made cards for children residing in hospitals over the holiday season. 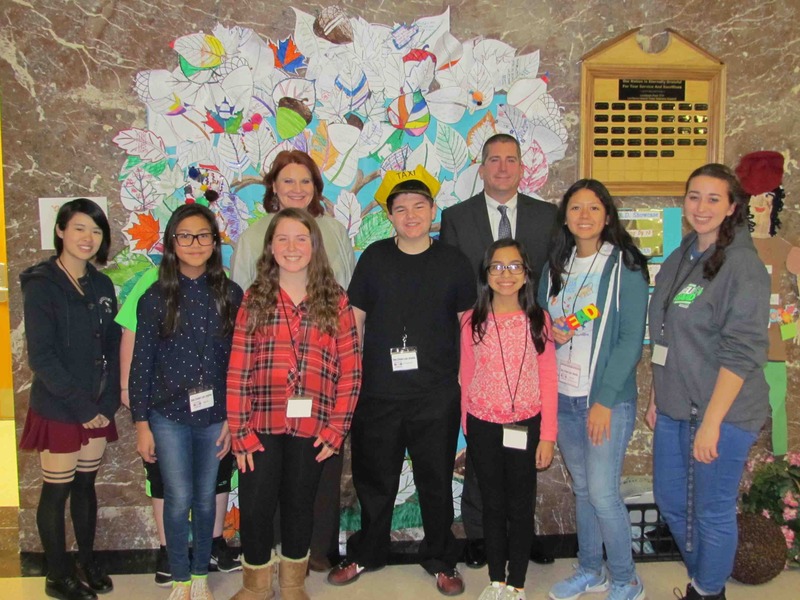 From back left: Director of K-12 English Kerin Slattery and Assistant Superintendent for Instruction Todd Winch are pictured with the Levittown community of readers who attended the district’s READ Showcase.